Dr. Totonchi offers an elective procedure known as blepharoplasty at his plastic surgery clinic in Cleveland. A blepharoplasty can dramatically improve the appearance of sagging eyelids, and improve visibility in extreme cases where sagging has decreased peripheral sight. Over time it is very common for eyelids to begin to sag. This can occur in both the upper and lower eyelids and often occurs naturally due to aging, or more commonly because of heredity. This procedure can be performed in office or operating room with relatively little down time for patients, yielding long lasting results. Eyelid surgery is designed to improve the appearance of the upper eyelids, lower eyelids or both. When done well, blepharoplasty restores a more youthful appearance to the eye area, making you appear more rested and alert. This procedure can also be combined with a brow lift, a facelift and neck lift, or a skin resurfacing procedure for optimal results. Removal of excess fat deposits that appear as puffiness in the upper eyelids. Loose or sagging skin that disturbs the natural contour of the upper eyelid. Removal of excess skin and fine wrinkles of the lower eyelid including correcting bags under eyes. When both upper and lower eyelids are corrected, Dr. Totonchi will first work on the upper eyelid. 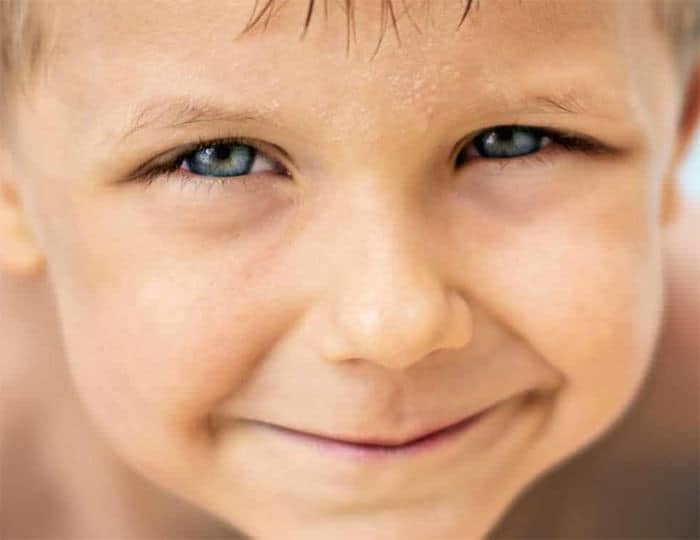 He will place the incisions along the lines of the natural folds of the upper eyelid so that they are well hidden. The excess skin and fat tissues from beneath the skin will be removed and will be closed with tiny sutures to minimize visibility. For the lower eyelid, based on skin laxity and excess surgery can be done by an incision made below the lashes along the eye’s crease or inside the lower lid. Dr. Totonchi will remove and/or redistribute the excess skin, muscle, and fat tissues found there as well. Incisions are again closed using tiny sutures and will be well hidden. Some patients may benefit from CO2 laser along with blepharoplasty specially if they have discoloration. In cases where the eyelid falls closely to the pupil, Dr. Totonchi may recommend that ptosis screening be done in combination to your blepharoplasty or eyelid surgery to correct the condition. A blepharoplasty is typically performed on an outpatient basis in our surgical office in Cleveland, Ohio. You can expect the entire procedure to last about 2 hours, and depending on the severity of your procedure, may be advised to have someone drive you home afterwards. Initial healing may include swelling, bruising, irritation or dry eyes and discomfort that can be controlled with medication, cold compresses and ointment. You must practice diligent sun protection and use darkly tinted sunglasses when outdoors until the healing process is fully complete, which could be a week or two. Patients can expect very minimal post-operative pain that can be managed by taking medications. What results can I expect following eyelid surgery? Final results should appear within several weeks, but it may take up to a year for incision lines to fully soften into your eyelids’ natural creases. It is important to note that your skin and eyes will continue to age naturally and sun protection and proper skincare will improve the life of your results. Eyelid surgery is an operation, and therefore risks are always involved. Dr. Totonchi can help assess your situation and advise you of any concerns to be aware of prior to undergoing surgery. 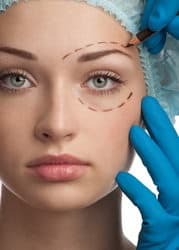 Potential risks associated with eyelid surgery include temporarily blurred vision, dry eyes, pain, swelling, numbness, skin or nerve damage, infection, blood clots, fluid accumulation, scarring, and bleeding. If you have any questions or would like to set up a consultation for eyelid surgery in one of Dr. Totonchi’s Cleveland, Lyndhurst or Westlake offices, please contact us!